Ani's Book Abyss: My TBR List -- November Winner! My TBR List is a monthly meme hosted by Michelle @ Because Reading. The basic gist of this activity is to have others help decide on which book out of three I'm selecting from my TBR pile I should read for the month via votes. The posts will be published on the first two Saturdays (voting and winning book announcement, respectively), and the winning book review will be posted on the last Saturday of the month. Click on the above links for more information. I have two winners this month, with both Whirlpool and All Fall Down garnering a tie at 5 votes each. The voting was actually an extremely close one as the week went by. 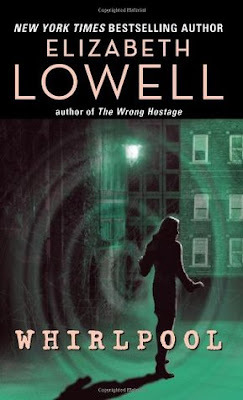 Whirlpool had a very strong start, being ahead of the other two books for a short duration of time before the votes started coming in rapid-fire soon after. 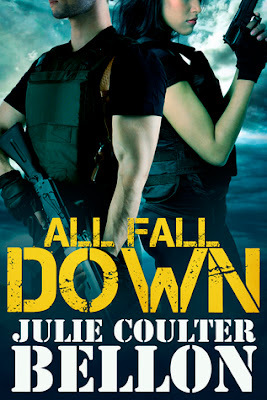 And surprisingly, All Fall Down had been the book to start the race with the fewest amount of votes on the first day. Then all of a sudden, it shot past My Lady, My Lord and ended up right up there next to Whirlpool. I would say that they left My Lady, My Lord in the dust, but truth be told, it only lost by one vote. One more vote in that direction and I'd end up with a triple-tie! then I'd have to invoke special powers of the BFF vote (essentially that would involve begging my best friend to pick one of three books). As it is, with a simple tie, I will be using my special admin powers (pfft, admin powers) to make a decision between the two winners. But pretty much, my decision will be that I will read both books, since I need two Reading Assignment books to read this month anyway, but that Whirlpool will be the book I post as the My TBR review on the last Saturday this month. My decision is based on the fact that Whirlpool had been at the front of the vote since the start of this. But I WILL also mention All Fall Down as one of the two winners as well. Again, thank you to everyone for voting! I had a very close vote too and was afraid I would end up with a vote, but one of my twitter followers ended up breaking the tie. I hope you'll enjoy Whirlpool! How intense! Sounds like your picks this month were all very popular. :-) I hope you are able to get to both your winners. Enjoy!